Rock stars have been smashing guitars for decades, few with more enthusiasm than Swedish-born guitar virtuoso Yngwie Malmsteen. 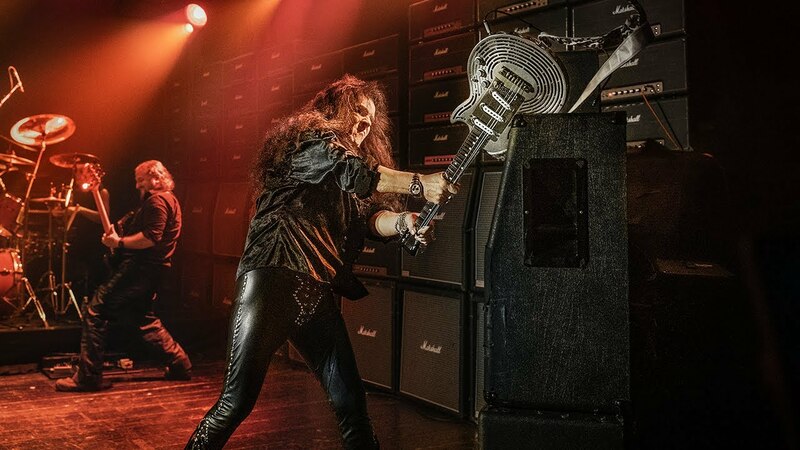 Sandvik decided to test their cutting-edge technologies by building the world’s first all-metal, unbreakable guitar and letting Malmsteen unleash his smashing skills on it. 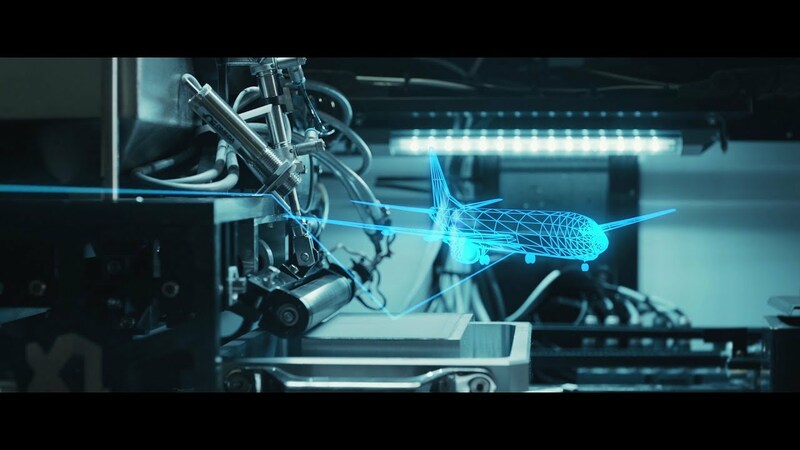 In this project, Sandvik gathered experts from across the company to demonstrate how they could use sustainable, cutting-edge techniques to make something that is both highly precise and amazingly durable. Henrik Loikkanen, machining process developer at Sandvik Coromant, has played guitar since his youth, when he idolized Malmsteen. To understand what happens when Malmsteen destroys an instrument, Loikkanen turned to YouTube. Sandvik engineers eliminated the joint between the neck and body. Instead, the guitar’s neck and fretboard were milled in one machine from solid bars of recycled stainless steel, a guitar construction that had never been tried before. Both the neck and fretboard extended into a rectangular “hub” that would reach deep into the guitar’s body. Long, slender components like the fretboard and neck are particularly vulnerable to distortion. 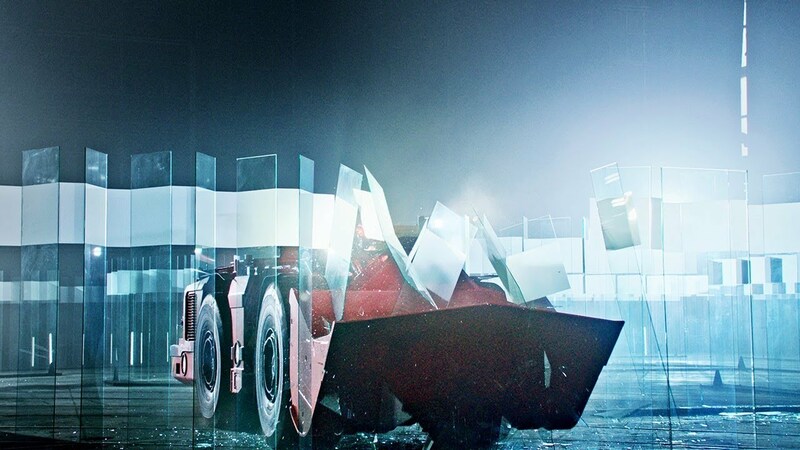 Advanced software allowed Sandvik Coromant to simulate milling digitally before the first cut was made, enabling the correct choice of tools, saving manufacturing time and ensuring efficient processes. Inspection of the ILS (Isotropic Lightweight Structure), an integral component of the guitar. The ILS is made from Sandvik hyper-duplex stainless steel. Meanwhile, another challenge was being tackled – how to manufacture the guitar body, an extremely complex design due to the need for high strength at low weight. Sandvik, relying on its world-leading expertise in metal powder and additive manufacturing, decided to 3D print the body. Lasers traced a design in beds of fine titanium powder, fusing layers of material one on top of the other. The layers, each thinner than a human hair, built up into the body of the guitar. 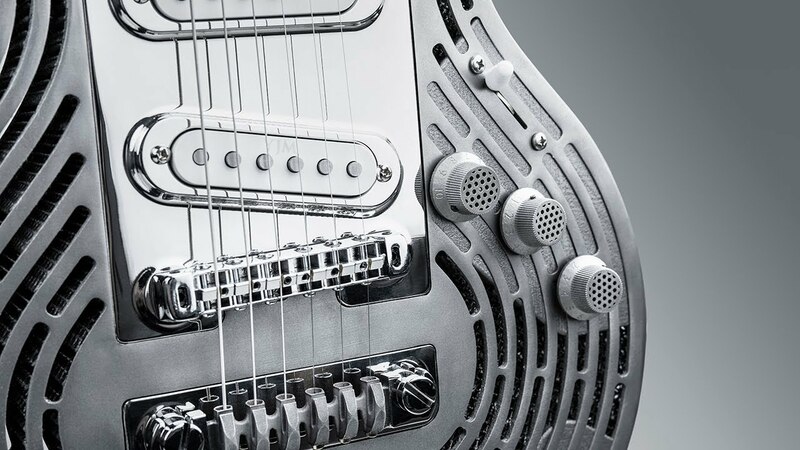 Tomas Forsman, a research and development specialist at Sandvik, realized that the guitar needed a special structure that was strong, stiff and light. He proposed an Isotropic Lightweight Structure (ILS), the strongest structure for a given weight ever invented. Forsman also knew exactly the material the ILS should be made from: hyper-duplex steel, a grade only Sandvik produces. He wanted to sandwich the hyper-duplex ILS between the guitar’s neck and fretboard. But the fretboard could not afford any torsion, a problem with welding long, thin components together. Analysis and testing fine-tuned the welding process until the ILS could successfully be integrated. 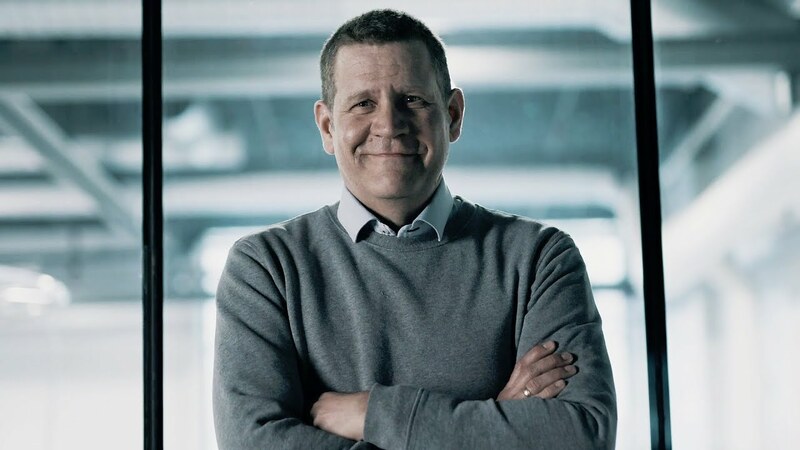 Forsman thinks the guitar project and the collaboration it required illustrates how Sandvik’s deep expertise and experience can solve unique challenges, even faced with short timeframes. One of the Sandvik engineers testing the strength of the guitar on various items of old furniture and equipment. Learn how our metal-cutting solutions contribute to the future of manufacturing. Use your knowledge to the fullest extent and develop while working on the next generation of technology.